FOCUS St. Louis offers a significant number of programs and events with the opportunity to network while exploring regional community issues and concerns. Leadership Programs – Take the next step in your leadership journey by applying for one of our six immersion programs. Upcoming Events – FOCUS hosts community forums and discussions on regional issues throughout the year. 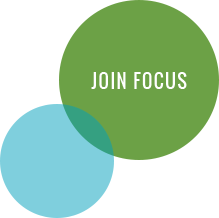 Membership – Join FOCUS and receive our biweekly newsletter and information about upcoming civic engagement opportunities and events in the region. Below are additional organizations and resources for civic capacity-building in the region. Many are politically aligned; their inclusion here does not imply endorsement or partnership with FOCUS St. Louis. Mission: Provides hands-on leadership training that emphasizes community building principles and strategies, project planning, organizational leadership and management practices, and personal leadership skills. Check out their community toolkit. Mission: To support and equip diverse emerging leaders with the skills to build a progressive ecosystem that enacts social and political change. Mission: An intensive training program designed to bring Missouri’s Republican volunteers and activists to the next level. Mission: Providing finance and fundraising trainings to prepare candidates to run for office. Mission: Nonpartisan effort designed to help women enter the political arena and hone career and management skills by working on grassroots issues and political campaigns. Mission: To offer an insider’s view into the day-to-day job of a St. Louis City Police Officer and further strengthen the bond between the department and the community.